Our day spent bicycling through the Cote du Rhone villages in France was one of the best days of our trip, and it has been filed away in my heart as one of my all time favorite travel experiences. The Cote du Rhone is a specific wine growing region in France. 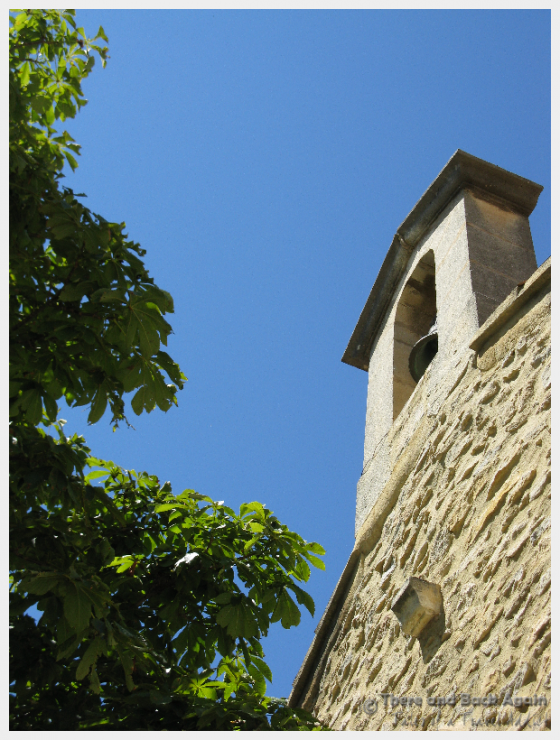 It is situated around Mont Ventoux about one hour north of Avignon. The region is an off the beaten path traveler’s dream come true-picture idyllic vineyards (and oodles of wine tasting rooms) sandwiched in between fairy tale perfect walled villages. The ride had been beautiful. We had passed through tiny, medieval villages, almost unchanged by the passage of time and devoid of tourists. 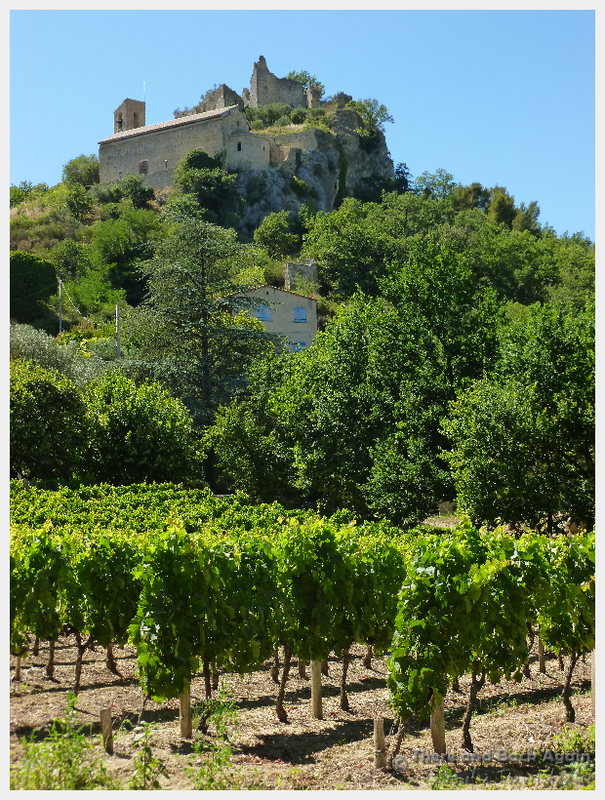 We were in the heart of Provence wine country, and we had seen endless rows of vines and countless places to stop and have a taste of the liquid Provence sunshine. The laborious climbing that we had been suffering through suddenly seemed completely worthwhile, as it afforded us an amazingly long 10 minute downhill ride through some of the most amazing scenery that I have ever seen. We passed the village of Faucon and suddenly I was flying! The scenery rapidly passing by looked like a picture in a postcard. I shifted one gear higher, then another as I continued to accelerate. A voice in the back of my head chimed in and told me that I really should be wearing a helmet when going this fast downhill, but I was having too much fun and I hastily told the voice to shut up. Exhilarated beyond belief, I flew down the mountain into Entrechaux. I can’t imagine in my wildest dreams having a more perfect day. 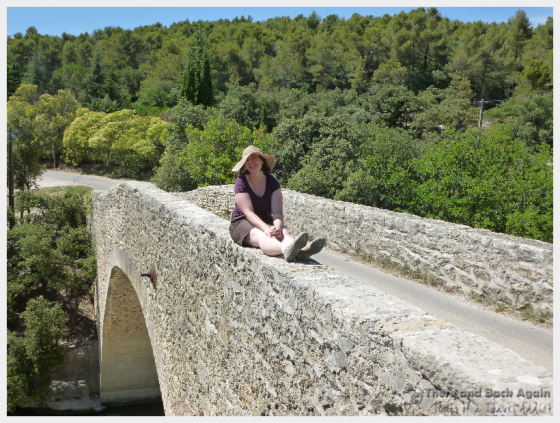 The Cute Du Rhone region of Provence is just made for bicycling. 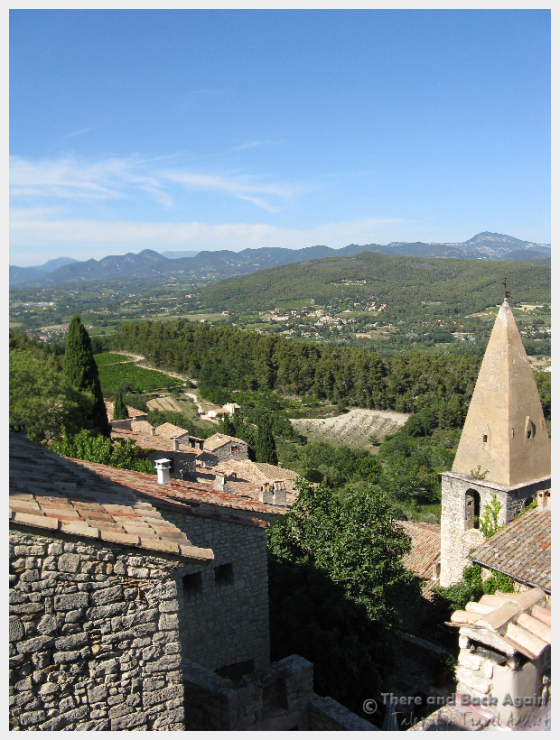 The Provence Cycling website provides detailed routes and directions for all levels, abilities and interests. The itinerary that I chose for us took us through medieval walled villages that seemed to be off of the beaten path for tourists. We saw very few people as we utilized the freedom that the bicycles gave us to explore these hidden gems. Start out from Vaison La Romaine in the morning. Contact Cycles Chave to arrange your bicycle rental (their e-mail is cycleschave at gmail.com). They are conveniently located 10-15 minutes by foot from the tourist information office and they offer newer bicycles in good condition at a reasonable price and a hassle free rental experience. The owner is incredibly friendly, but does not speak much English so a few well chosen words in French might come in handy to have written down. TIP: Follow the written instructions in the itinerary VERY carefully. All of the information that you need to follow the path outlined is there, but it is the fine details that make the difference. The path was not signposted very well, and we had to backtrack a couple of times because we hadn’t followed the instructions carefully enough. I would consider myself in average physical condition. I am by no means an athlete. 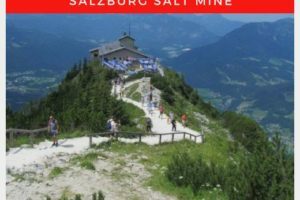 I considered the hills in the above itinerary challenging yet doable. We left Vaison la Romaine at about 10:00am, stopped for lunch in Puymeras at 1:00pm and we were back in Vaison la Romaine by 5:00pm. Puymeras is a nice place to stop for lunch if you are starting out by bike in the morning from Vaison la Romaine. 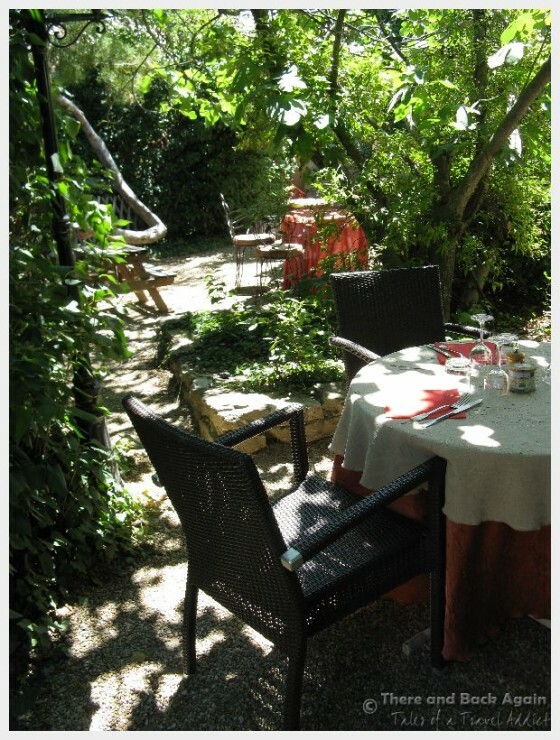 Le Girocedre is an amazing restaurant if you want to to experience the best of French cuisine at reasonable prices in a beautiful, garden setting. They offer an “assiete gourmand” for lunch which includes an main course and dessert for 17 euros, or you can order an entree and main dish or a main dish and dessert a la carte (off of the menu) for 22.50 euros. 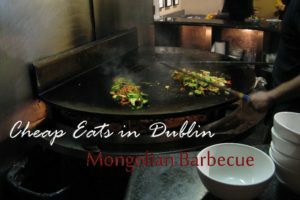 The selections on the menu vary depending on the seasonal ingredients available and they are changed 3-4 times a year. This restaurant was so good that I would return to France just to come here again! Have you had your own velo en Provence adventure? Where is your favorite place to bicycle in France? Looks like a beautiful, scenic place to cycle. 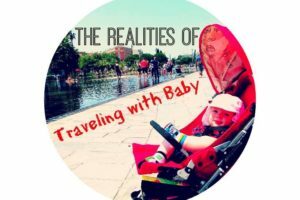 Thanks for writing about your experience! It was an amazing experience. So beautiful and ALMOST tourist free! It pays to get off the beaten path!